The opening round of the 2016 FIM World Motocross Championship begins on Friday with qualifying taking place from Qatar at 11:50 a.m. eastern. On Saturday, racing action kicks off at 8:10 a.m. with the first WMX moto. You can watch the action live on mxgp-tv.com on both Friday and Saturday or catch delayed coverage on CBS Sports Network on Sunday. While the 2016 season has lost some of its luster in the United States without Ryan Villopoto attempting to become the first American since Bobby Moore in 1994 to win a world championship, there are plenty of storylines to track. Romain Febvre looks to defend his surprising MXGP crown from a season ago. Eight-time world champion Antonio Cairoli looks to shake off an injury-plagued 2015 season and add another title in his quest to dethrone Stefan Everts. Meanwhile, title contender Clement Desalle will attempt to race the opener with a broken arm! 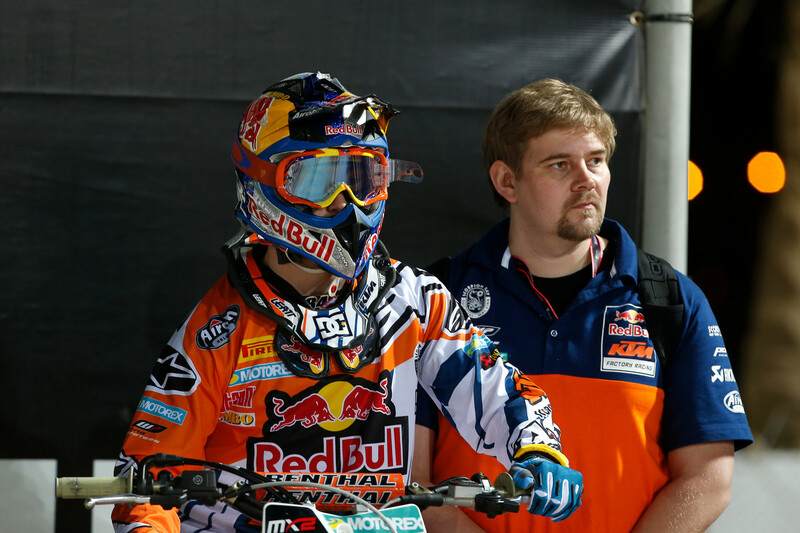 In MX2, all eyes are on Jeffrey Herlings and his attempt to return from two years of injuries and claim a third title. We’ve complied a spotters guide for the weekend, which should help you along the way. Notes: Hardly considered a title contender in his first MXGP season, Romain Febvre shocked the Grand Prix landscape with a dominating 2015 season, culminating in his first championship. 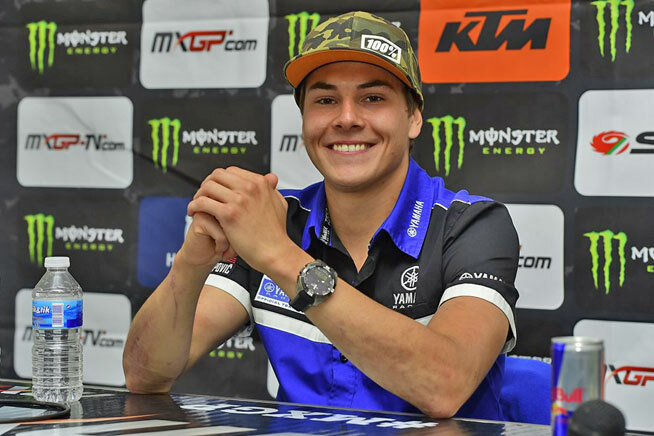 A crash in the Italian Motocross Championship earlier this month that resulted in a deep cut to his arm has limited his bike time, but he should be 100 percent for the weekend. Notes: A year after a runner-up finish to Antonio Cairoli, the Belgian never got going in 2015, securing just four moto podiums. He’s off to a much better start in 2016, winning the Italian Motocross MX1 Championship over GP regulars Evgeny Bobryshev, Max Nagl and Glenn Coldenhoff, among others. Notes: On paper, Paulin’s first season with Honda was a success—a runner-up finish to Romain Febvre that included three moto wins. In reality, it wasn’t that close, as Paulin struggled adapting to the Honda. Following off-season knee surgery, Paulin traveled to Florida to train with Aldon Baker. Notes: One of the few GP regulars to stay healthy in 2015, Russian Bob had his most consistent season in recent memory. 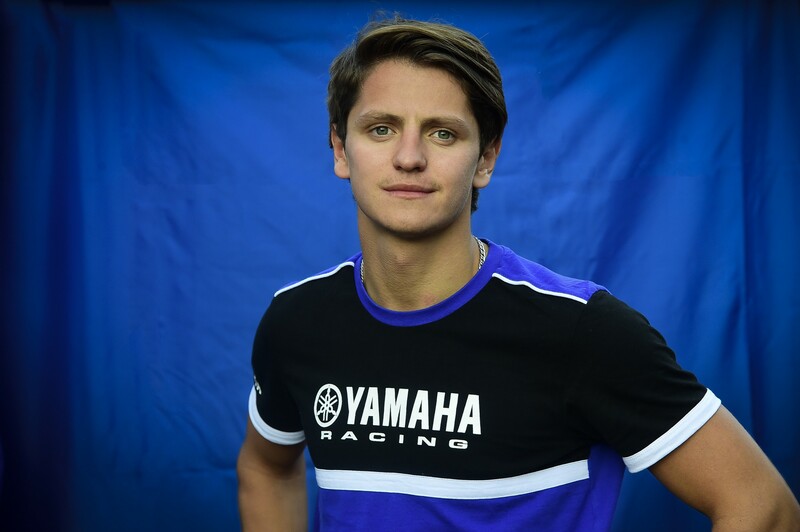 He’s off to a good 2016 as well, winning the Italian Motocross Championship Elite title. Notes: The eight-time world champion is looking to reclaim his crown after an injury plagued 2015 season that saw him miss five rounds. Cairoli sustained a rib injury in January that halted his preparations and hasn’t competed in any pre-season races. Notes: Coldenhoff moves over from Suzuki to replace Tommy Searle as AC’s teammate. In Latvia last year, Coldenhoff won his first ever MXGP race over Paulin and Febvre. “Clement has a clean break, and Doctor Claes considers that it’s similar to a collarbone injury and he can recover faster than expected. He did some cycling this weekend, and is working daily to recover. He will ride the practice sessions and, depending on how he feels and the results, we will then decide whether or not he will race the GP. Notes: Tixier’s rookie MXGP season will be put on hold as he recovers from off-season wrist surgery. 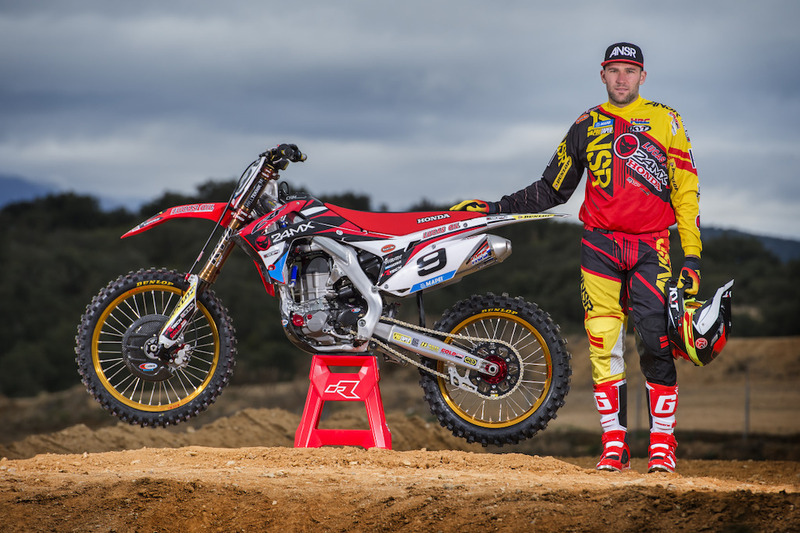 The 2014 MX2 champion is expected to miss at least the first two rounds in Qatar and Thailand. Notes: Nagl led the MXGP series for nine rounds last year before fracturing his ankle at his home GP in qualifying. Although he returned for the last four rounds, he wasn’t the same rider. Notes: This is Charlier’s first season with the team. Notes: Townley’s return almost ended before it started after he injured his knee at the Valence International. Luckily for the oft-injured Kiwi, tests revealed no major damage and he will race this weekend. The 2005 MX2 World Champion was lured out of retirement after strong rides at last year’s Glen Helen USGP and the Motocross of Nations. Notes: Another GP veteran that spent most of last year on the sidelines. Strijbos underwent surgery on his wrist after Round 3 last year and missed nine rounds total. Notes: Guillod will move to MXGP this year and ride with KEMEA Yamaha after ahighly publicized split with his former team this off-season. Notes: Searle spent most of his last year with Red Bull KTM on the sidelines, competing in just nine rounds. Notes: Everyone’s favorite European privateer had a breakout season last year, winning three motos en route to fourth overall. He also showed his speed in the States, finishing fourth overall at Unadilla. 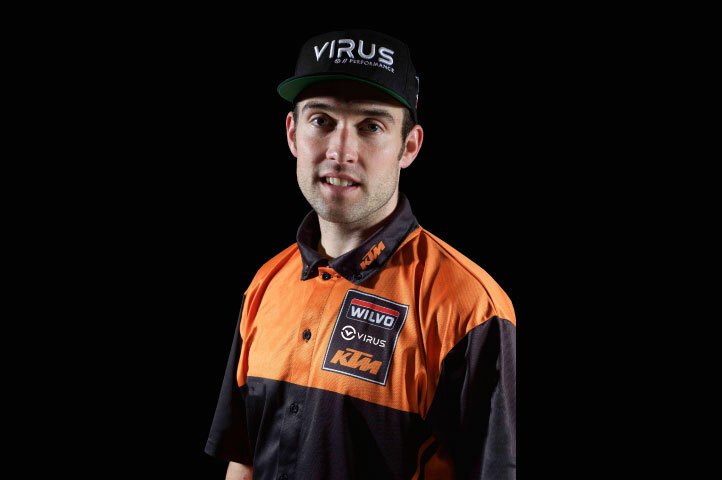 Simpson will receive direct technical support from factory KTM this season. Notes: The former Red Bull KTM rider suffered a fracture to his right upper leg in France last weekend. No timetable has been set on his return. Notes: Karro tore his ACL and damaged his meniscus last weekend at the Lacapelle-Marival International in France. The team is trying to find replacement riders, but will not race in Qatar. Notes: The former world champion is back for another year, racing under his own efforts. Notes: Was injured most of last season, only competing in two rounds. Nicholls will not contest the flyaway races. Notes: Recent injuries, which have been well publicized, cost him the last two MX2 championships. The two-time MX2 champion has done well in off-season races, and is the clear favorite to win a third title—assuming he can stay healthy. Notes: In Herlings’ absence, Jonass nearly won the MX2 championship—taking Gajser down to the last race. He should contend for podiums. Notes: Pootjes moved to MX2 late in 2015 and showed some bright spots with a podium in Latvia. He’s probably a year or two away, but keep an eye out on him. Notes: Made a run at the MX2 title last year, winning eight of ten motos late in season. It wasn’t enough though, as an early season hole did him in. This will be Anstie’s last season in MX2 due to the age rule. He signed a three-year deal this off-season with Husqvarna, moving from Kawasaki, for MX2 and MXGP. Notes: Covington will fly the American flag once again. Like Anstie, he signed with Husky this off-season, moving over from Kawasaki. Notes: Seewer had his best MX2 season last year, finishing fifth overall. Can he take the next step in year three? Notes: Like Pootjes, he is one to watch for the future. This is his first full season in MX2. Hsu injured his hand this off-season and won't return until at least round four. Notes: Before he sustained a torn ACL, Ferrandis appeared to be the main challenger to Herlings. Most expect the same this year. Notes: The Bulgarian moved over to this team prior to the MXGP at Matterley Basin and returns for another year. Notes: Missed most of last season due to a shoulder injury. Notes: Lieber will miss most of the season due to a hip injury. The team has signed Alvin Ostlund to fill-in. This is not a comprehensive list of every team competing in the 2016 FIM World Motocross Championship. To view a full list, visit mxgp.com. All the times are relative to your computer clock (EST). Round 4 March 28 Grand Prix of Europe Valkenswaard?